Toyota's Tri-Gen Power Plant project will be constructed in California and derive energy from methane gas emitted by dairy cattle manure. Toyota has released plans for a 100% renewable power and hydrogen plant. We consider the possibility that this is a move to produce fuel cell vehicles in the future. Scientists around the world have been hard at work solving the mystery of commercialized renewable energy. I often wonder, though, when we’ll actually see such technology become widespread. Well, that time may be coming soon. As I write this article, Toyota is hard at work on a project that will bring renewable energy to California. The most interesting part, to me at least, is that the source of their renewable energy is cow manure. From manure, they plan to generate water, electricity, and hydrogen for homes on a massive scale. And while powering homes is so very, very important, it’s that bit about hydrogen that has me really excited. Ramping up the production of hydrogen could mean that we’re closer to fuel cell powered vehicles and that alone could take a huge bite out of our greenhouse gas emissions. This news pairs well with the kinds of things we posted about last year, such as PEMFCs and new fuel cell catalysts. But let’s not get ahead of ourselves. It’s important to get some perspective on Toyota’s plans, first. On Thursday, at the Los Angeles auto show, Toyota announced the Tri-Gen Project. The Tri-Gen Project will be the world’s first commercial-scale renewable energy power and hydrogen generation plant. That’s right, folks. We’re finally getting a commercial-scale, 100% emission-free power plant. Oddly enough, we have cows to thank for this development. The plant will capture methane gas from dairy cattle manure. We recently published an article talking about how avoiding factory farm meat and other products can improve your personal health as well as the health of the planet. However, it’s unlikely that a move away from cow dairy and protein will happen anytime soon. To that end, Toyota’s project could be a useful and efficient compromise. The plant should be able to produce approximately 2.35 megawatts of electricity a day, which is enough to power over 2000 homes. As for hydrogen production, how does 1.2 tons a day sound? Moving forward, the plant may serve as a source for Toyota fuel cell vehicles, but more importantly, it will start to create the kind of infrastructure that we’ll need to convert over to fuel cell cars. To support this idea, Toyota added into their announcement that they have built one of the largest hydrogen fueling stations in the world. So far, there are thirty-one retail hydrogen stations open in California. With this move, Toyota has made it clear that they intend to raise that number. Of course, they’ll need the help of different companies. That’s no problem, though. 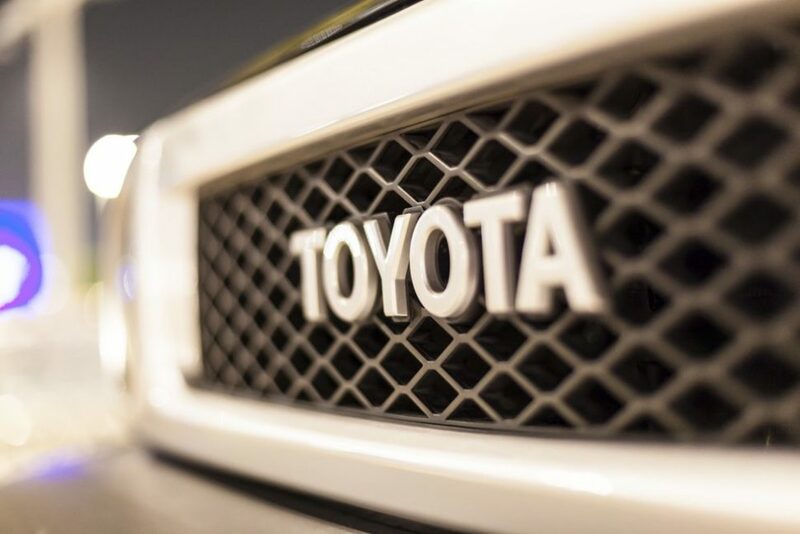 It’s easy to find partners when you’re an automobile giant like Toyota. Many solutions have been offered, but most of them aren’t sustainable. For example, not everyone can ride a bike or walk to work. Also, it is unfeasible so far to wean ourselves off of fossil fuels. Renewable energy sources just aren’t cost-effective enough to become widespread. That’s why a commercial venture like this is so important; it shows us that progress is being made. Now, I say that, but there are examples of countries like Costa Rica, who went with 100% renewable energy for an entire year. There’s progress out there, folks. You just have to look for it. Could this plant be the beginning of the fuel cell revolution? Let us know in the comments below!